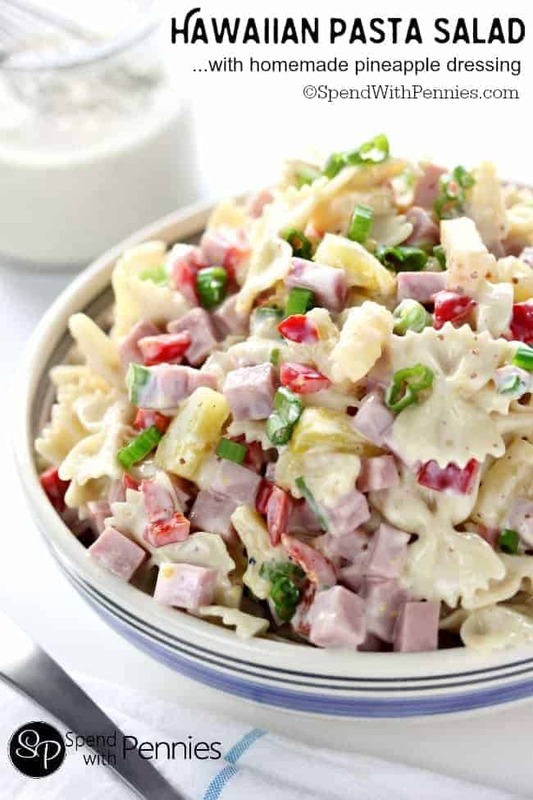 This Hawaiian Pasta Salad is a refreshing play on my favorite Hawaiian Pizza flavors and is always a hit at potlucks! 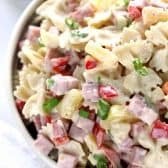 A quick and easy homemade pineapple dressing is tossed with pasta, ham and bell peppers for a uniquely delicious side dish! If you are looking for something amazing for your next gathering this is it! 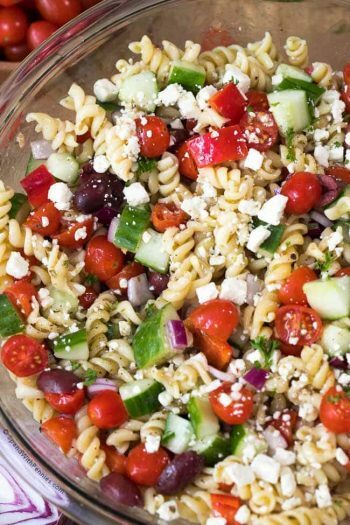 This is literally one of the most delicious cold pasta salad recipes I have ever had! 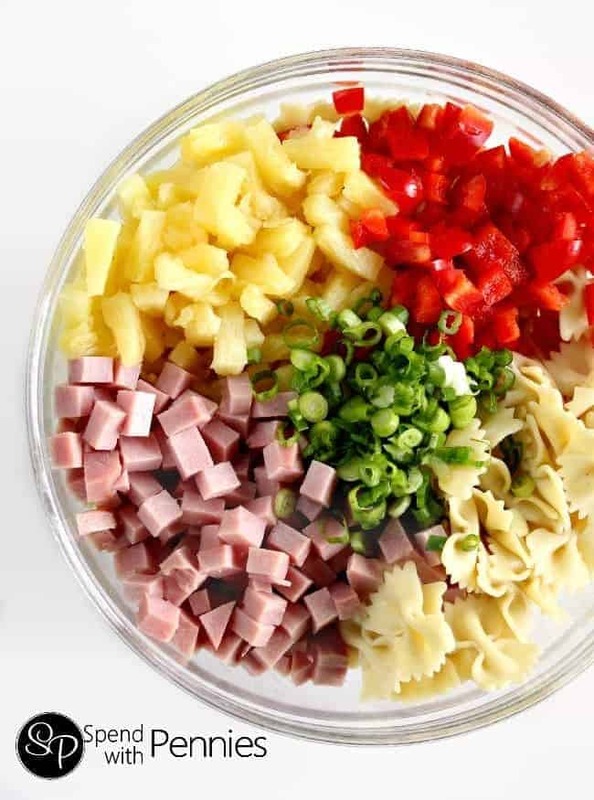 Pasta combined with ham and sweet pineapple is the perfect combination! I’ve added defrosted frozen peas to this recipe as well and they’re delicious! 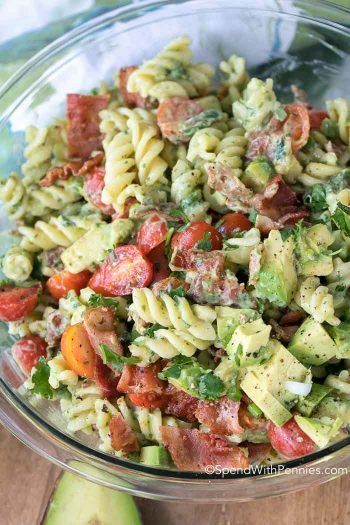 The homemade dressing for this pasta salad is out of this world… you may have a little extra left over and if you do, it’s amazing on any green or spinach salad as well! It will keep in the fridge about 4 days. 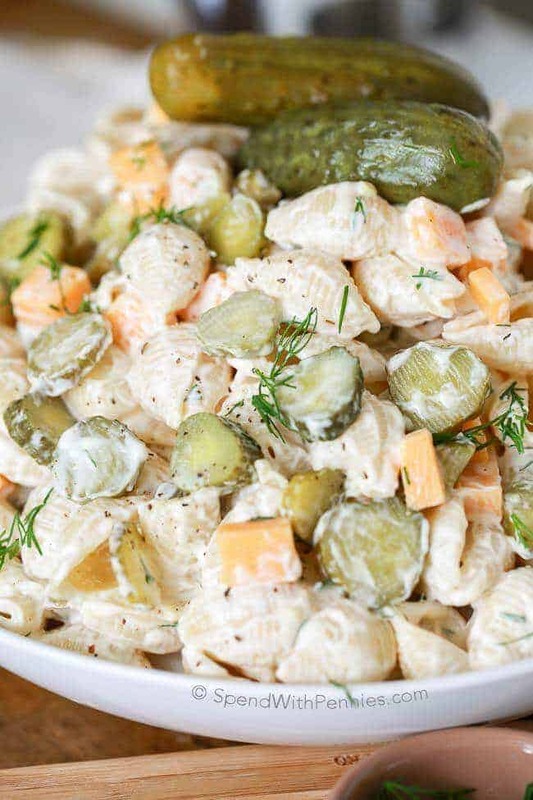 This makes a great side dish or even an summer main dish! 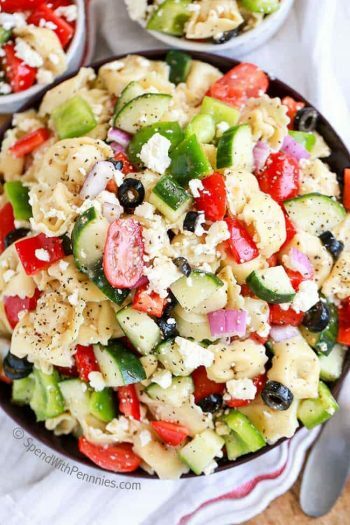 I sometimes make a big pasta salad on Sundays and the kids take in their lunches throughout the week. 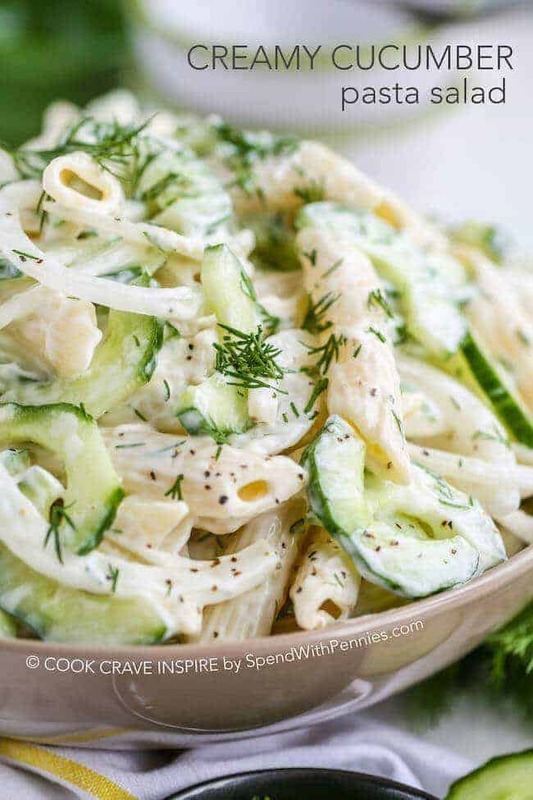 Makes for a wonderful lunch and it’s easy! 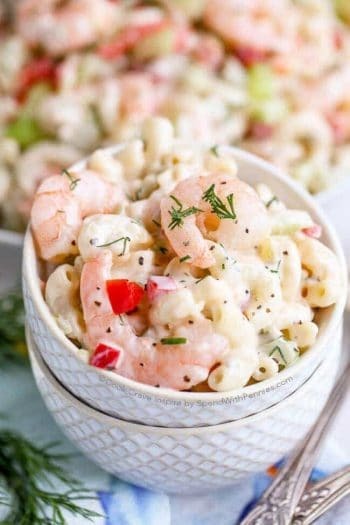 (Note: This recipe is not the same as a Macaroni Salad found on a typical Hawaiian Plate Lunch… which is usually a combination of mayo & macaroni. Whisk together all dressing ingredients until smooth. Combine all ingredients in a large bowl gently toss with dressing. Refrigerate 2 hours before serving. Store refrigerated up to 5 days.